The Round Mosaic Glass Votive provided by us is beautifully crafted with exclusive patterns and designs. These Mosaic Glass Votives are highly demanded by the handicraft industries owing to its perfect finish, elegant look, and pocket friendly prices. Our clients can avail this premium range in a variety of colors and designs. 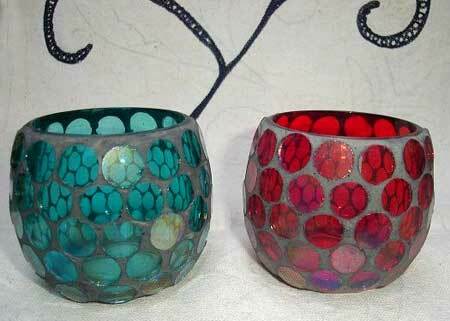 Why Our Mosaic Glass Votive?